Young adventurers have helped us mark a milestone as the 5,000th visitor has explored our new fun fort. The special guests visited Sudeley Castle to put the play facility through its paces and look around the castle and gardens for the day. 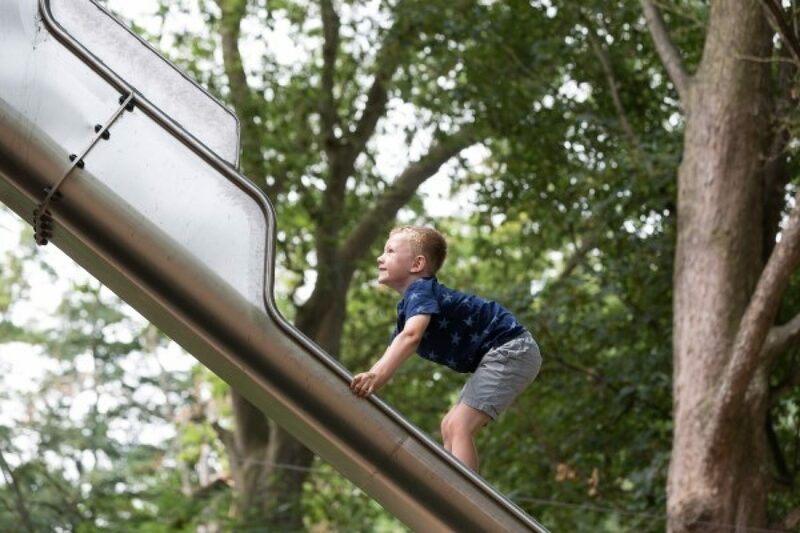 As part of their trip, the children enjoyed free run of the wooden fort, which opened in March and offers young visitors the chance to tackle a climbing wall, explore different levels, climb ladders, cross raised bridges, whizz down slides, keep a lookout from watchtowers, slide down a fireman’s pole and zoom along a zip-wire. They also made time to take-on the nearby adventure trail and 10-piece obstacle course. Kim Gibbon, Visitor Services Manager at Sudeley Castle, said: “Our fun fort is proving hugely popular with our younger visitors and we were delighted to welcome these special guests to celebrate reaching this landmark number. 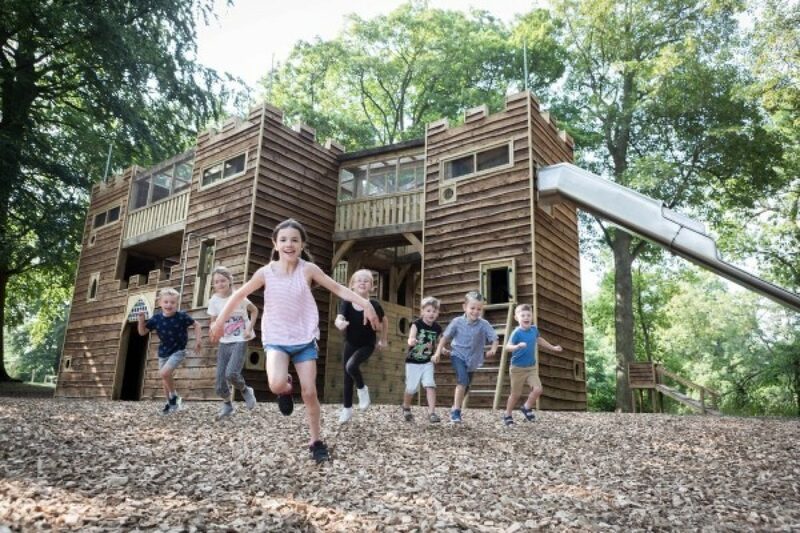 The castle-style fun fort has been custom-built in shaded woodland, next to a willow maze, a stone’s throw from Sudeley Castle and is free to use with castle admission tickets. 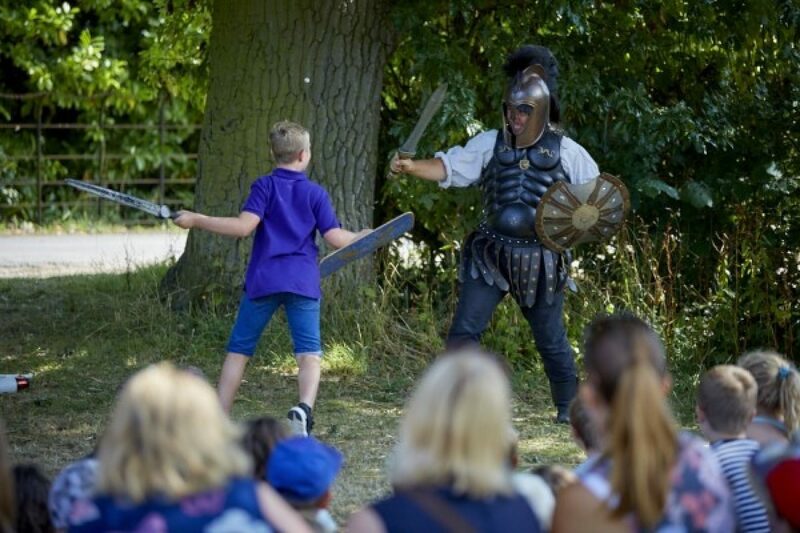 It’s a busy time of year at the site – throughout the summer holidays families are being invited to join our weekly ’Children’s Wednesdays’ fun days which include a host of entertainment, games and activities. Visitors can play on the bouncy castle and inflatable activity centre, enjoy story-telling, watch amazing performances and fun condensed history shows featuring uni-cycling, juggling and escapology. In addition, guests to the site can also visit our fascinating new exhibition which tells the 1,000-year story of Sudeley’s history, meet the castle’s feathered friends in the pheasantry and enjoy the beautiful gardens in summer bloom – all set against the backdrop of the surrounding Cotswold Hills. Sudeley Castle and Gardens is open daily until December 21, as Sudeley has extended its open season to include the run up to Christmas for the first time this year. Our Children’s Wednesday events run weekly until August 29, with other events running throughout October to December. Buy your admission tickets online and save 10%.